Dear friends, ‘Tis the season for beaded holiday gifts! During the past couple of weeks, I have been super busy beading Etsy orders! 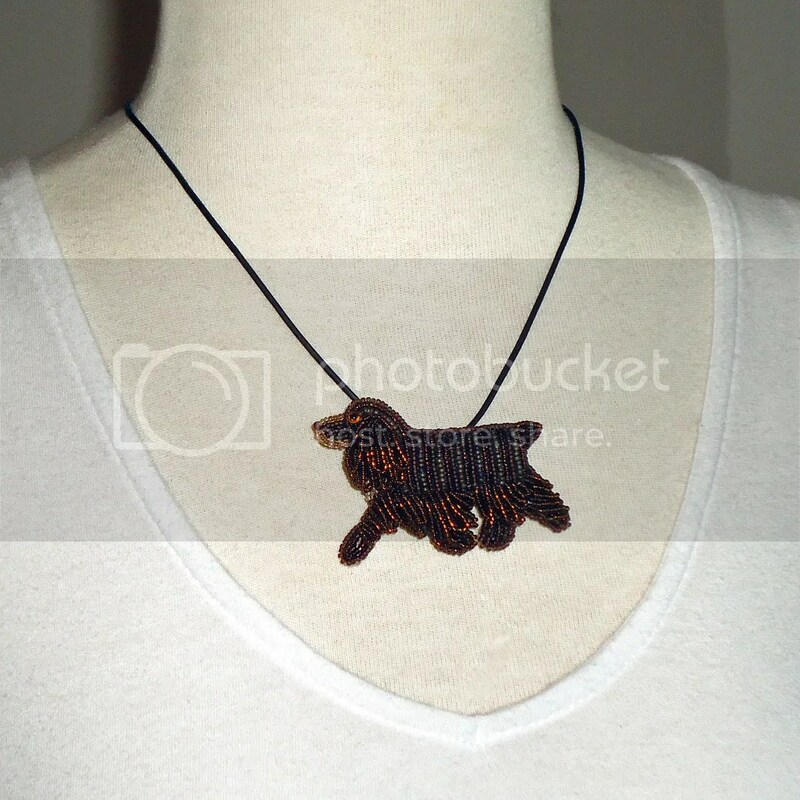 Here is the latest custom order I have created – a chocolate Cocker Spaniel pin pendant. 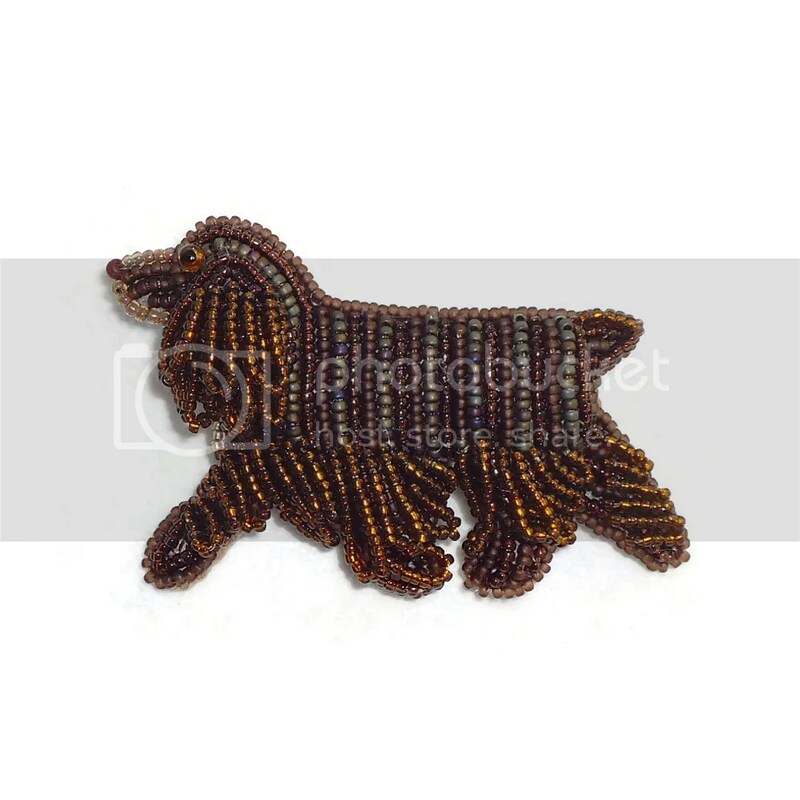 This piece was created by stitching tiny Japanese glass seed beads to felt 2-3 at a time. 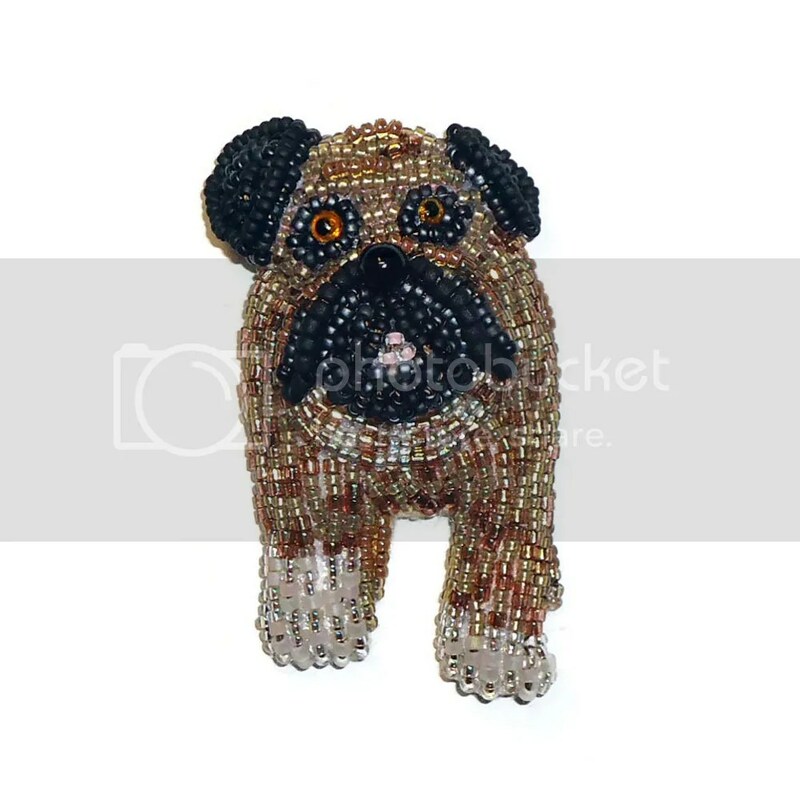 Once I beaded the entire piece of felt, I did some layering on the dogs ears and legs. I basically just added long beaded loops which really add movement to the piece! The dog’s ‘hair’ really moves when you touch it, too! Do you like it? Besides that, I have been trying to prepare for the holidays: shopping, shipping, cooking, jotting down ideas and goals for the New Year… Until then, I will be running a HUGE Year End Sale on both Etsy and Amazon Handmade. Nearly ALL Ready-to-Ship items will be 15% off, no coupon code needed. Sale runs December 25 – January 15, 2017. Enjoy and have a very Merry Christmas!